In Sydney, Australia, a lawyer (Richard Chamberlain, The Thorn Birds) decides to defend a group of local Aborigines accused of murder. 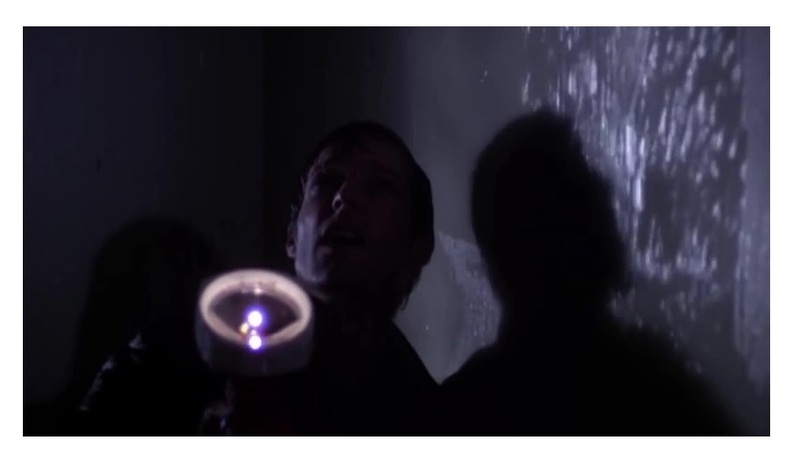 As he immerses himself in the case, the lawyer begins to experience a series of apocalyptic visions. Before he started making glossy mainstream dramas in the 1980s, Peter Weir made a series of low-budget thrillers in his native Australia. Picnic at Hanging Rock is perhaps the most popular and revered of those films, but I’ve always had a soft spot for The Last Wave (aka Black Rain) — a creepy, hypnotic mood piece. I remember being a bit confused the first time I watched it. Watching the film a second time made me appreciate it a whole lot more. Weir constantly teases you with an array of nightmarish images and sounds, making for an engrossing, multi-sensory film experience. I also liked how the film turns frighteningly scary at a drop of a hat — a sense of dread hovers over the movie like a dark cloud. The film is constructed like a little puzzle and it’s fun to try to figure out how the pieces fit together. Ambivalence can be frustrating when handled poorly, but Weir’s caginess is playful and organic thus The Last Wave provides the viewer with a wild ride into the unknown. Is the lawyer a psychic who doesn’t understand his gift? Is he simply going insane? It really doesn’t matter — it’s all about the journey, not the denouement. I have my own theories, but I think it’s best for viewers to draw their own conclusions. Richard Chamberlain gives a nuanced performance as the lawyer. You immediately identify with him because he is able to suggest fear and confusion so well. 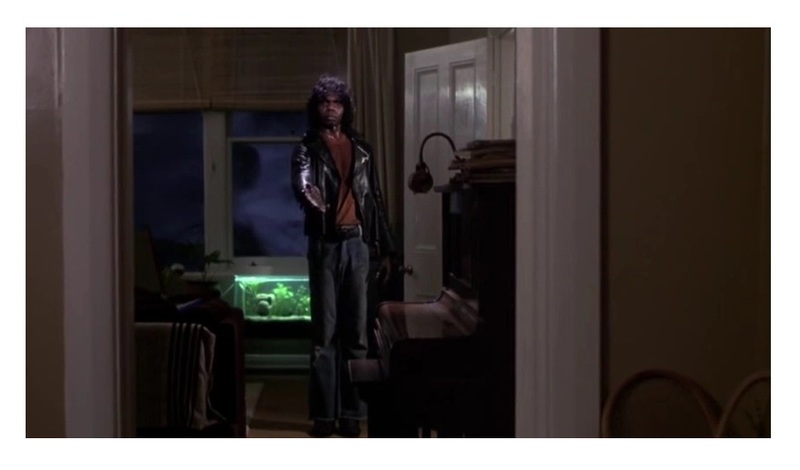 The cast also includes David Gulpilil, Olivia Hamnett, and Nandjiwarra Amagula as Charlie. 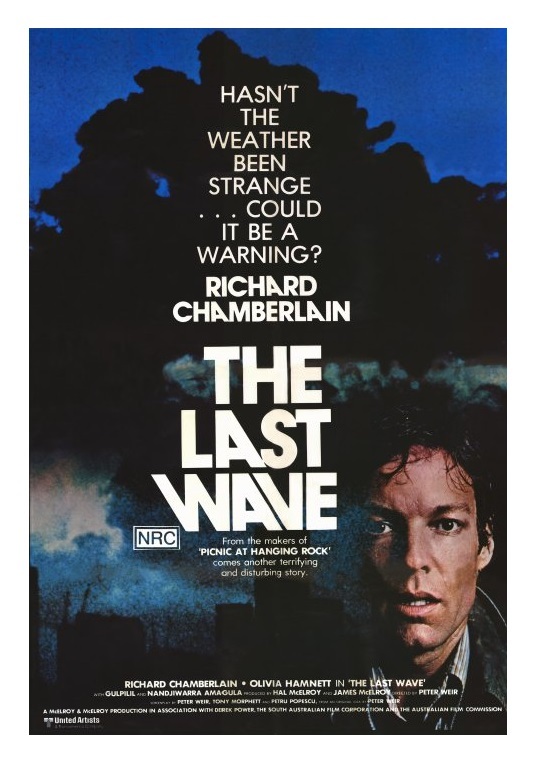 The Last Wave is not for everyone, but it’s one of those films that stares at you with an inviting look to uncover its mysteries. Color, 106 minutes, Rated PG. I just happen to have been trying to find this film to watch .Glad to have found this post. Not sure it’ll be up my alley, but I am intrigued. I loved Picnic at Hanging Rock. If you liked Picnic at Hanging Rock, you might like The Last Wave. They have similar vibe. Wave also reminded me of Nicolas Roeg’s Don’t Look Know, another kooky thriller. Yeah, I really must get round to watching this. I love all of Weir’s stuff that I’ve seen, so I’m not sure why I haven’t made the effort to dig this one out. Many thanks for the reminder!